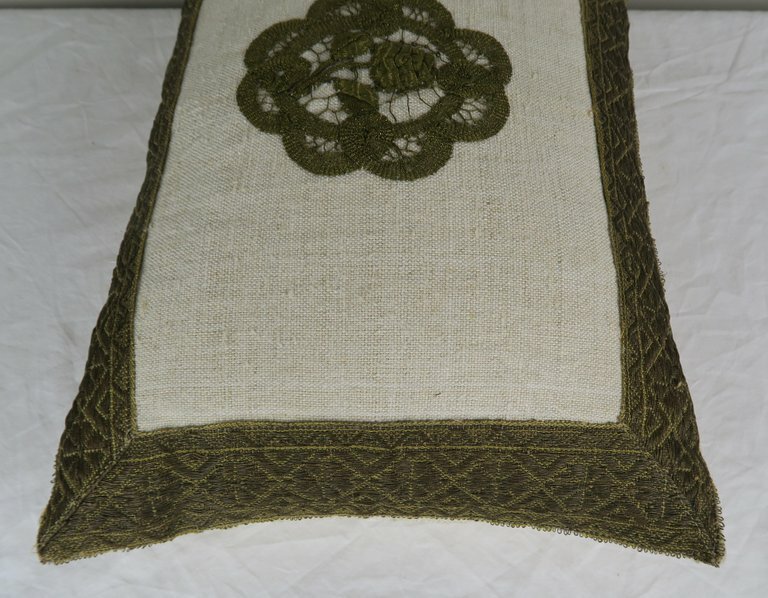 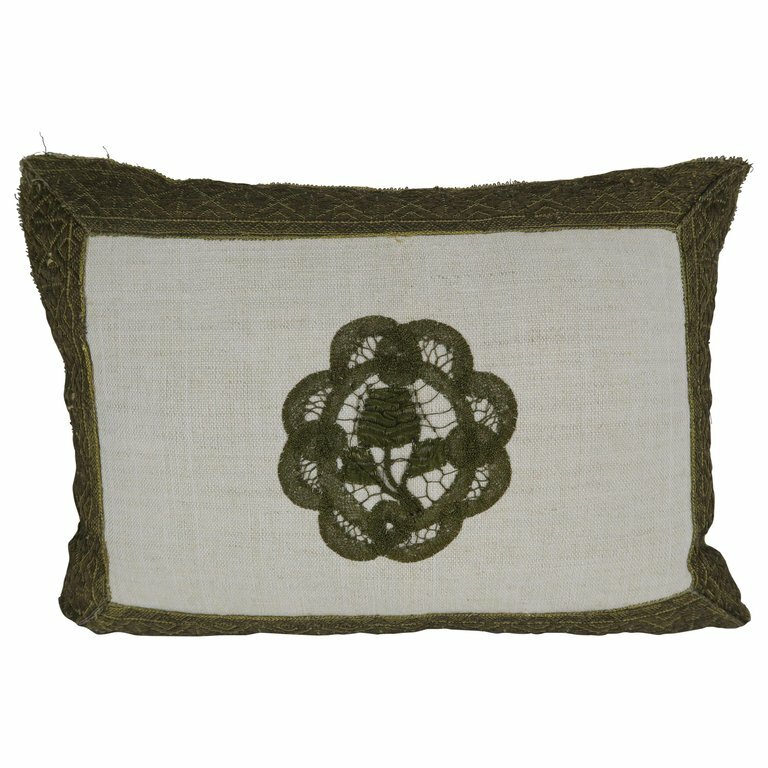 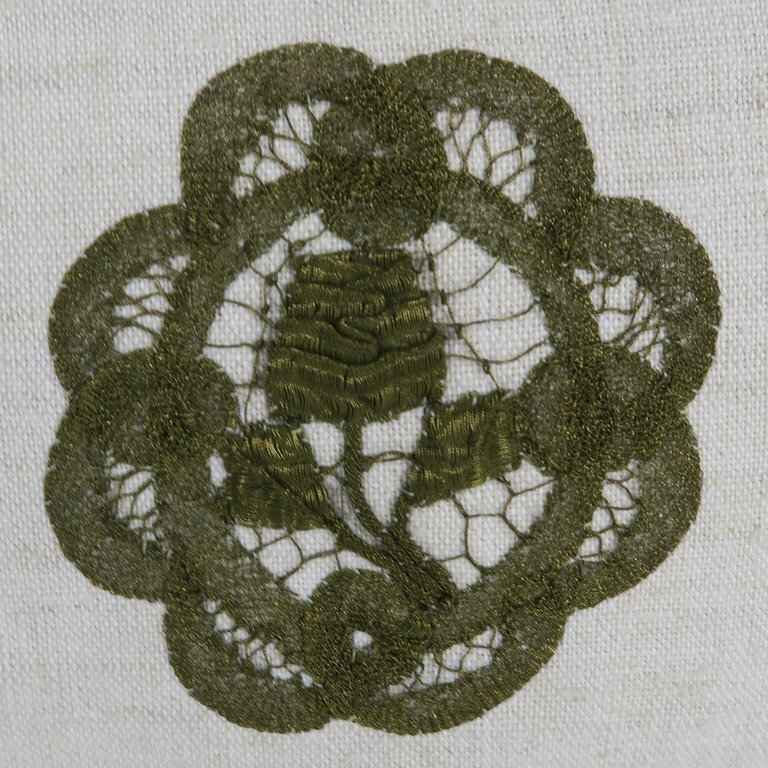 Contemporary pillow made with antique linen and 19th century metallic French lace applique with rose inside a flower medallion. 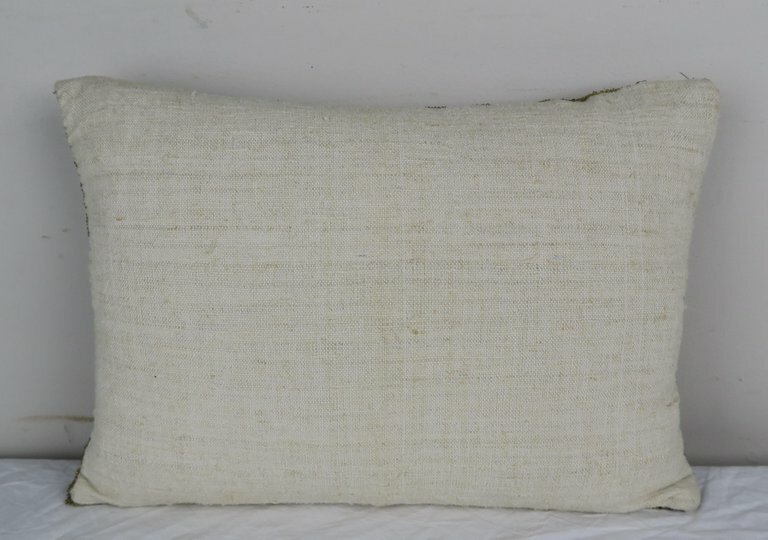 19th century metallic trim at sides of pillow. 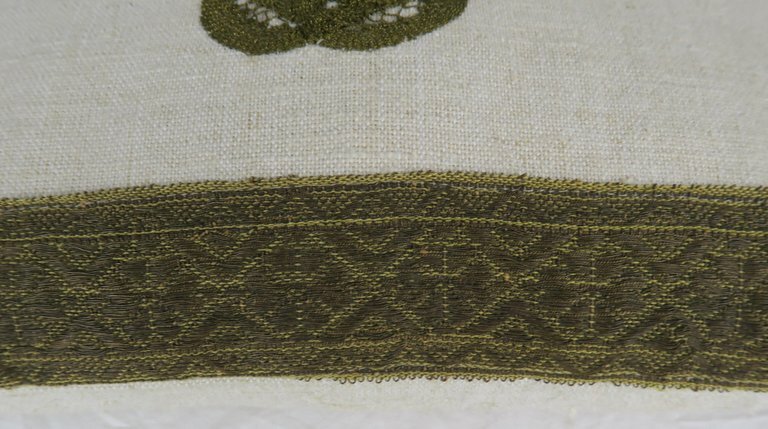 Down insert.